Ignoring warnings of environment experts, the Head of the Environment Protection Agency Mohammadi Zadeh has approved the discharge of waste water from sugarcane plantations into the marshlands of Khuzestan. 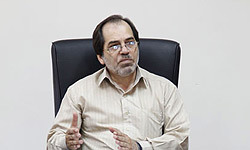 Mohammadi Zadeh claimed that the release of waste water would have no effect on the marshlands, which serve as an important habitat for wildlife as well as helping to regulate humidity and rainfall further inland. However, leading experts in the region disagree, stating that plantation effluent combined with dam construction and lower rainfall threaten a devastating ecological crisis in the marshes. Academics and conservationists have repeatedly warned that discharging saline waste water into freshwater lagoons will have catastrophic effects on the ecosystem and the indigenous Arabs who have lived there since ancient times. 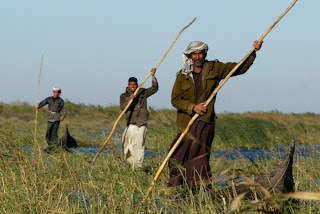 The Hawr Al-Azim marsh, which connects to Iraq's Hawr Al-Hawizeh marsh, is under threat from water pollution and the construction of dams on the Karkeh River which feeds it. The extent of the marsh has declined dramatically over the past three decades with disastrous consequences for the wildlife and communities that depend on it. The extent of the marsh declined 53.7% to 295.6 square km between 1975 and 2000 with the area covered by permanent marsh falling 52.5%, permanent lakes shrinking 67.0% and seasonal and shallow lakes declining 98.0%. Some species, such as otters, have reportedly vanished from the marsh as a result. The situation since 2000 has continued to worsen with increased salinity, putrification of vegetation and widespread desertification. Increased water salinity will exacerbate the crisis faced by the Hawr Al-Azim marsh, warn Iranian environmental experts. Dr Mehran Afkhami, a professor at the University of Tehran, said that fauna that evolved over thousands of years in the fresh water conditions of the marshes face extinction due to salination caused by waste water. He stated that the discharge of sugarcane waters with a salinity of 10,000µS/cm into a freshwater wetland would lead to the failure of the ecosystem. Fathallah Dehkourdi, the Vice Chair of Conservation and Utilization of Resources at the Khuzestan Water and Power department, also warned of the effects of Karoon River salinity on irrigation and water courses. He claimed that the salinity of the Karoon River, the largest tidal river in Iran, rose from 15,000µS/cm in 2011 to 22,000µS/cm in 2012. The situation has worsened due to a combination of drought, dam construction and untreated waste water. According to international guidelines, the salinity of drinking water should not exceed 800µS/cm and over 2,000µS/cm is unsuitable for either drinking or irrigation for crops. 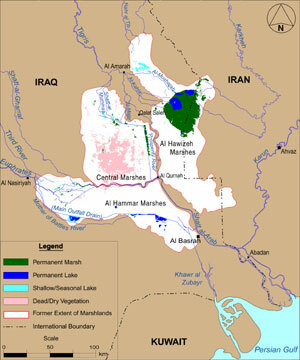 Other rivers in the region are also facing increased salinity, including Bahmanshir where salinity is 4,000µS/cm in Abadan. Mohammad Reza Fartousi's award-winning film "Iran Southwestern" documented the human impact of the destruction of the Al-Azim marsh.